We offer the Bachelor of Science in Physical Science, Physics and Physics-Computer Science. Explore your program requirements and options. Many of our undergraduate majors go on to graduate studies in physics and related areas. In a joint effort with the School of Engineering, we offer the graduate program in Electro-Optics. 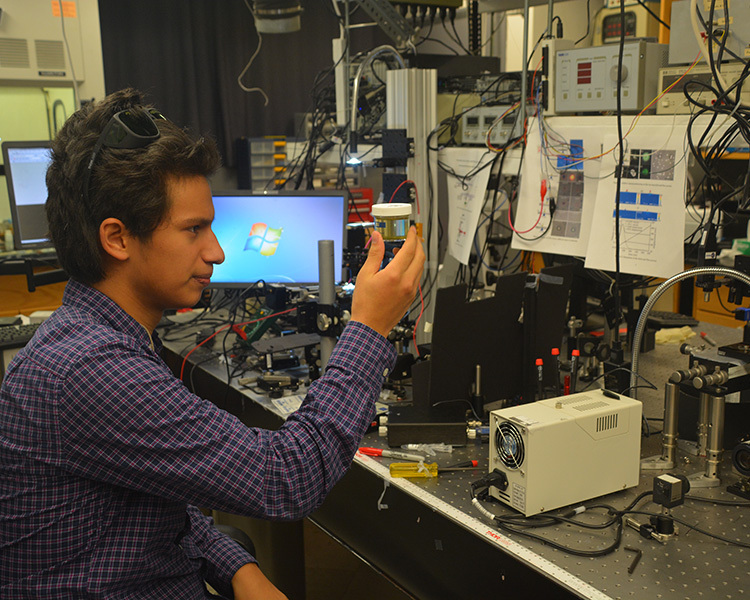 The Department of Physics welcomes applications for the 2019 Physics Summer Research Experience. This program is a partnership between the University and Morehouse College, Morgan State University and St. Mary’s University. UD ranks among the top 4-year private colleges in the number of graduates who earn the Ph.D. degree in physics. UD physics majors consistently win academic scholarships in national competition. 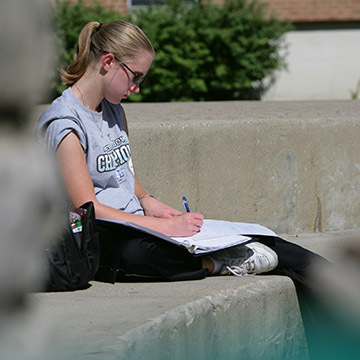 Research participation for undergraduates.Modern instructional and research laboratories. Nationally recognized SPS (Society of Physics Students) chapter. Among these features, the low student/faculty ratio and undergraduate research participation add a dynamic atmosphere to the UD physics department. University of Dayton doctoral student Ming Gong '15 is more comfortable at the keyboard of a computer or piano than trekking across snow and ice in sub-freezing temperatures. But, during May and June, she spent 10 days at a field summer school in Utqiagvik, Alaska, where she learned how to collect physical data in the Arctic. The National Science Foundation has awarded two University of Dayton researchers $317,158 to study a new manufacturing process for building three-dimensional structures that are 1,000 times smaller than the diameter of a human hair.